The drone industry has built much of its success on the quadcopter. In fact, the four-rotor drone has played such an important foundational role as the industry’s go-to platform that its mode of flight—including its helpful strengths and annoying weaknesses—has become ingrained into our expectations about how a hovering vehicle is to be operated. We still have affection for the predictable, can-do quadcopter. They do awesome things. 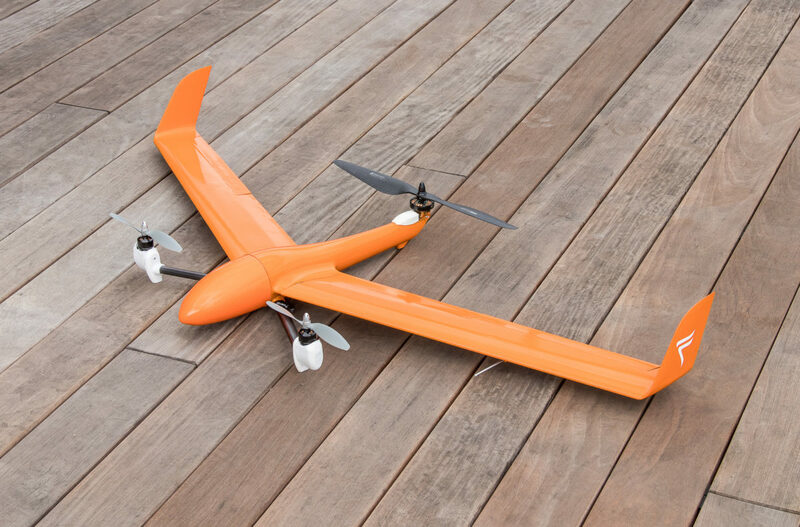 But at FlightWave Aerospace, we believe that by thinking beyond the quadcopter, entertaining new modes of flight and innovating past some of its inherent limitations, we can build something powerful on top of that legacy. We’re building on decades of work done in the UAS community and extending it. We started by posing some “what if” questions: What if we could free drones from the need to pitch and roll to translate horizontally—and thereby liberate engineers from the hassle of adding extra motors to stabilize important payloads like cameras? What if, as funny as it sounds, we could make a drone fly like it’s skating around on an air hockey table? Wrestling with those questions led us to some cool answers. The result: a new, modular component called a tiltpod. Tiltpod technology enables an aircraft to hover without tilting its whole body forward. Just imagine the possibilities and performance that affords a pilot by eliminating pitch and roll—because instead of tilting the entire aircraft, we are only tilting the motor. The tiltpod is simply a compact motor, propeller and servo. It has two main functions: a thrusting function and a tilting function. At FlightWave, we figured out how to make the tiltpod modular, and how to manage thrust vectoring for maximum operator control. The tiltpod basically acts like a suspension system, making the aircraft a lot more stable. Tiltpods can take robustness of flight to a whole new level, driving the development of a new generation of drones and empowering them with an incredible set of performance metrics, providing greater maneuverability and power. Tiltpod-powered drones can move the industry toward UASs that offer revolutionary new solutions to a wide range of industries. Fieldwork in archaeology, agriculture, forestry, geography, geology, and marine biology could benefit by deploying a tiltpod-powered drone platform that eliminates the need for several types of sensors and cameras to be self-leveling. Having a tiltpod-based craft makes pointing a payload at something much easier. The tiltpod also offers much better control in wind gusts and stronger performance through headwinds, letting you fly on tough days when a standard quadcopter would have to stay grounded. Indoor environments like warehouses and manufacturing plants could also benefit from highly maneuverable tiltpod-powered craft. The tiltpod enables quick movement combined with finely tuned, precision control in tight spaces where mere centimeters count. In other words, you might say a tiltpod-powered drone has the tight handling of a Formula 1 race car combined with the reliable practicality of a minivan. For our vertical-takeoff airplane—the FlightWave Edge UAS—the way we built the tiltpod allows us to control the transition from hover to cruise more smoothly and completely, enabling not only quicker movement but more range of motion. The operator experience is one of controlling very fine movements but over a large range, for a buttery smooth transition between hovering and fixed-wing flight. Thanks to tiltpod technology, we’re building on the great success of the quadcopter and helping advance unmanned aerial systems to a new level of capability and service, which can transform the drone experience for a broad range of users.